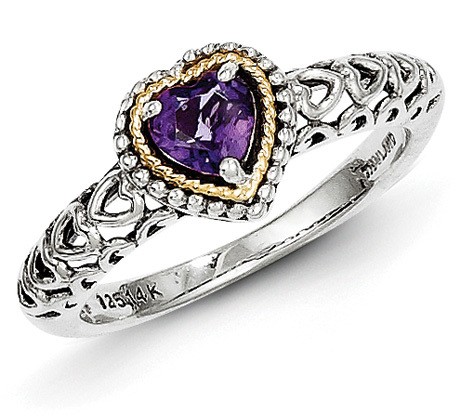 Shey Couture� genuine heart-shaped amethyst .925 sterling silver and 14k yellow gold gemstone heart ring. See our collection of quality amethyst jewelry. We guarantee our Heart Amethyst Sterling Silver and 14K Gold Ring to be high quality, authentic jewelry, as described above.